It’s not always big before and after projects that make a house a home! Here are 5 easy home improvement projects on a small budget (under $20!) that can make a huge impact in your home. As much as I love a good before/after reveal (and we have a lot of them! ), most of us don’t relate to those large scale projects for our everyday lives. I know that when I share inexpensive ways to make your house a home on my Instagram, I get so many people using my ideas to inspire their own smaller scale home makeover projects. Whether you’re just starting to make your house a home, looking for a simple weekend house project, or if you’re just itching for a change in your space without cringing at the price tag, you can implement any of these 5 easy projects into your home for just under $20! 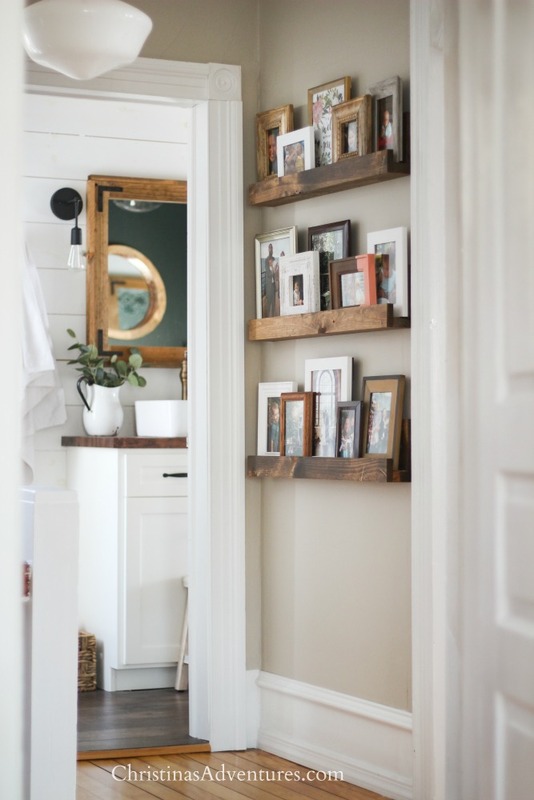 One of my favorite home decor hacks was one we implemented when we wanted to try to recreate our old & beautiful chunky trim in our upstairs hallway. 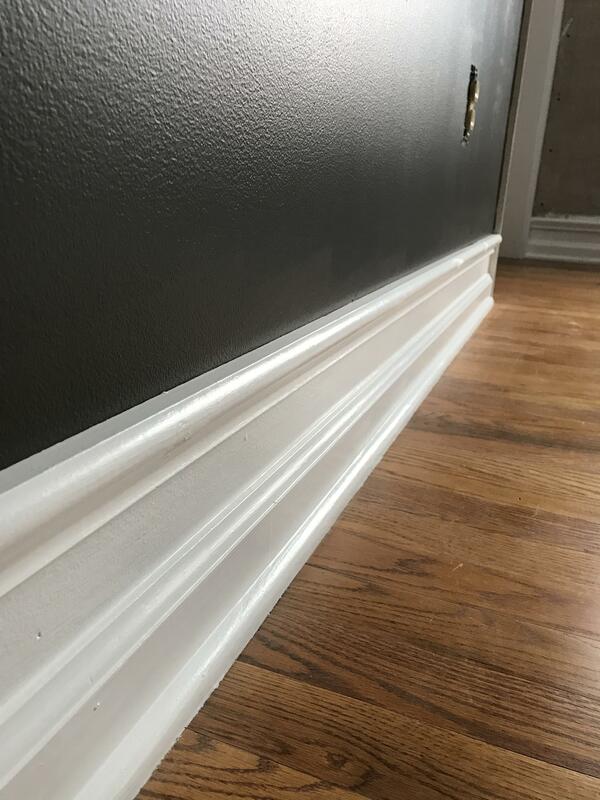 It’s so very simple and inexpensive to recreate old trim with this trick. 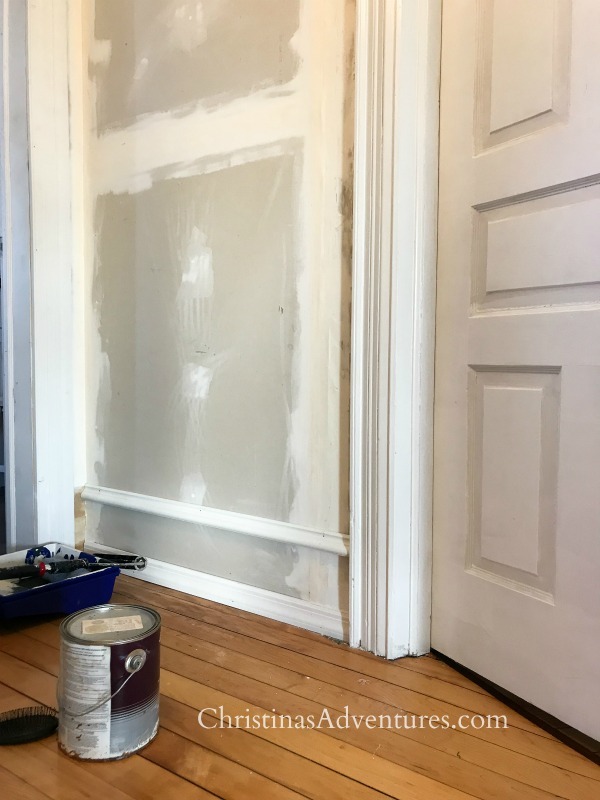 Come see the finished space here to see how the trim looks now! 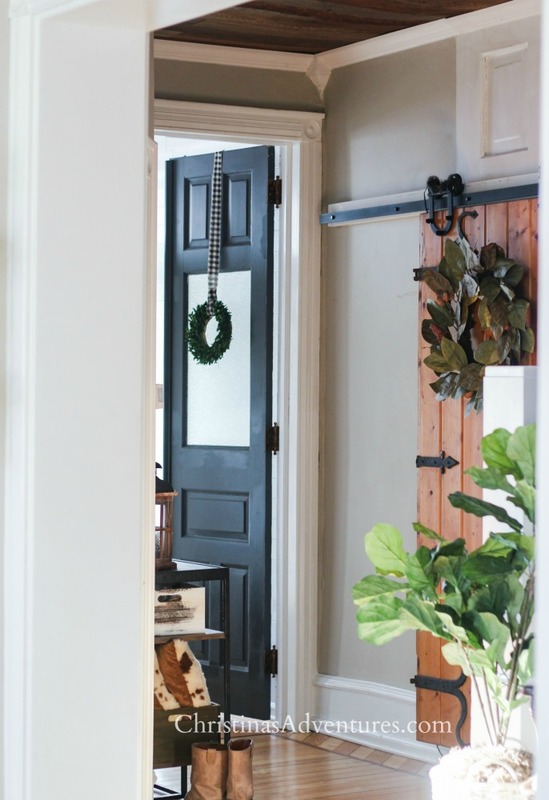 One of the biggest changes we made in our home was to paint select interior doors with dark gray paint. We used the color “wrought iron” by Benjamin Moore (in satin finish) and couldn’t believe how big of an impact it made for pennies! This is a VERY easy and inexpensive way to make a big statement in your home. 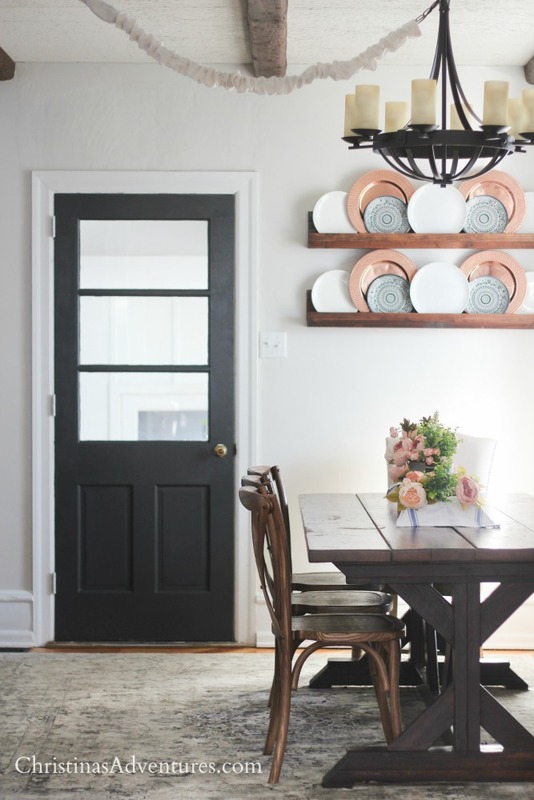 Come see more pictures of the door makeover in our dining area here. You won’t believe how simple these are to make (and how inexpensive!). They’re the perfect solution for decorating a hallway, and they’re way more flexible than a gallery wall. You could make these in so many different styles/colors – it’s such a customizable project that will barely make a dent in your budget. Come see the simple tutorial here. I couldn’t be happier with how these wood window valances turned out. They were a VERY simple “build” (if you can even call it that) and add so much character to our bedroom. 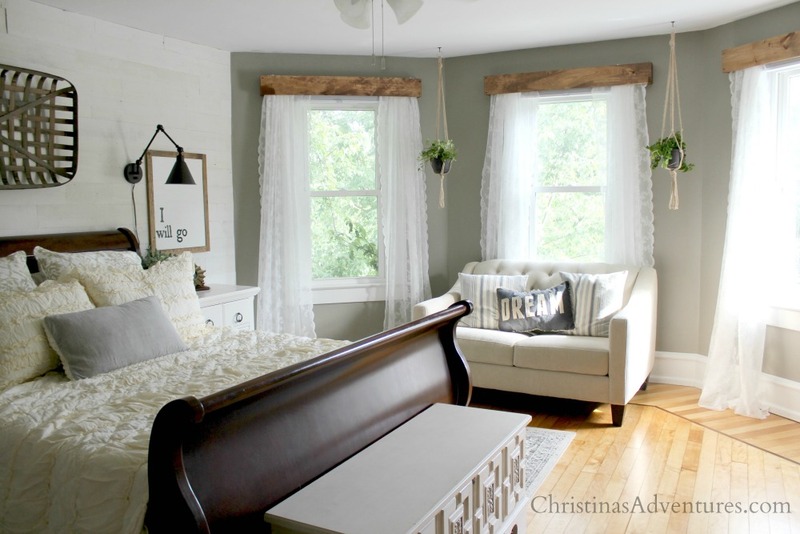 The curtains were also very inexpensive, come see all of the details of this project here. And don’t forget about this paint trick for a dark room! It made a world of difference in our dark kitchen. Read all about how to keep the same paint hue, but how to ask them to lighten it up at the paint counter here. 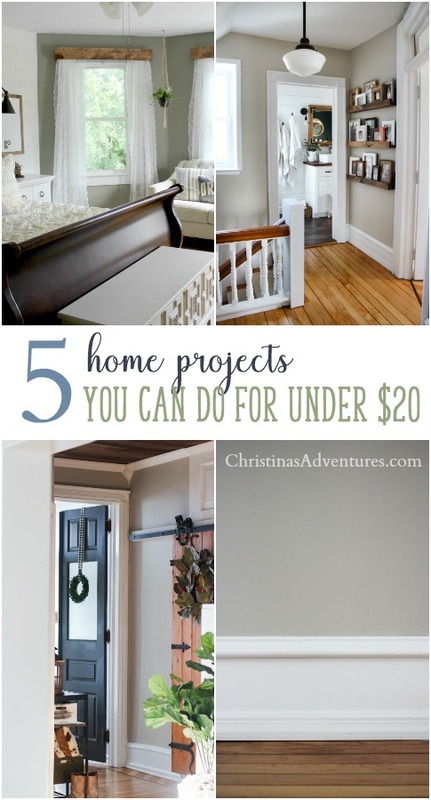 Like these ideas for easy home improvement projects on a small budget? Please share it with others and save for later by pinning it here. So happy I found your blog!!!!!! !